A Post Road West tile and cabinetry store has undergone a redesign of its own, expanding its product line and changing its name to reflect broader services. Ceramic Design at 175 Post Road West has changed its name to Karen Berkemeyer Home and now offers complete design services for kitchens and baths. The store's 3,000-square-foot showroom has been revamped to include new products, and provides kitchen and bath design for new construction, remodels and simple upgrades, according to Cindy McCreight, the company's business manager. 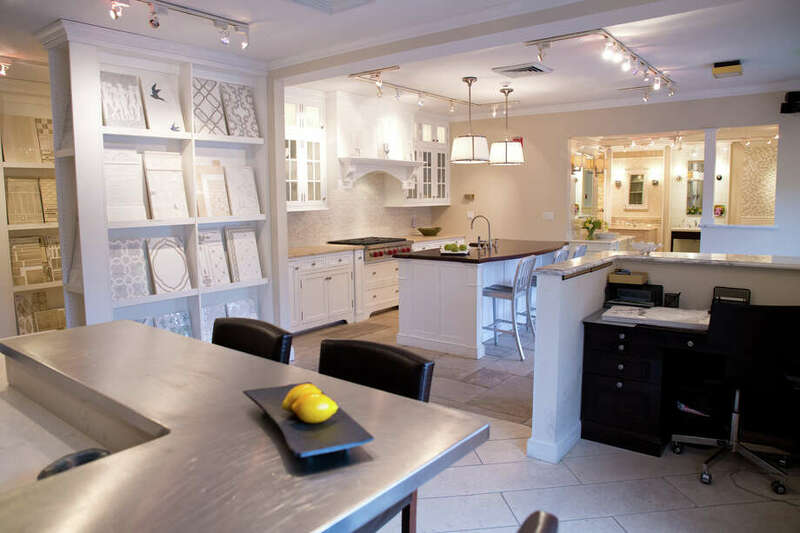 Karen Berkmeyer Home has five full-time kitchen and bath designers, McCreight said, and the new showroom includes stone and tile, cabinetry and plumbing fixtures displayed in room-like settings. The business takes its name from its founder. Breckmeyer opened Ceramic Design in Greenwich in the 1980s, and added a second location in Westport in 2004. The two stores were consolidated at the Post Road location in 2010, the business manager said. With its expansion, the company has been promoting itself as a one-stop destination for kitchen and bath design and materials. "Our jobs are larger and encompass more products used in the house, McCreight said. The customer who previously might have purchased only tile for a bathroom now may buy a vanity and plumbing fixtures, too, and spend 25 to 50 percent more, she added. The company claims a customer base from throughout Fairfield and Westchester counties. "We have also worked with many clients with their second houses in Rhode Island, Long Island, Nantucket, just to name a few." McCreight said.